Welcome to Part 3 of my introduction to Black Seed Oil and it’s remarkable health benefits. In Part 3, I will delve into what is Black Seed Oil good for. * Allergies & Hay Fever – Effective in the treatment of allergic rhinitis. 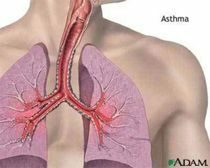 * Asthma – Research has shown it to be a promising treatment for bronchial asthma. * Amenorrhea & Irregular periods – Nigella sativa seeds have been reported to have significant effects against ailments such as skin disease, jaundice, gastrointestinal problems, anorexia, conjunctivitis, dyspepsia, rheumatism, diabetes, hypertension, paralysis, amenorrhea, asthma, cough, bronchitis, headache, fever, influenza and eczema. * Anxiety – Research has shown it to stabilise moods and decrease anxiety. * Autoimmunity – Evidence suggests that it can be used in the development of effective therapeutic agents towards the regulation of immune reactions implicated in different infectious and non-infectious conditions, such as allergy, autoimmunity and cancer. * Cancer (breast cancer; colon cancer; leukaemia) – Rats with induced colon cancer in the post initiation stage, but with daily treatment with the volatile Black Seed Oil for 14 weeks induced significant reductions in the colonic lesions. * Candidiasis – Research shows that Black Seed exhibits inhibitory effect against candidiasis. * Cardiovascular problems – The natural anti-oxidant in Thymoquinone (the main component of Nigella sativa) decreased diazinon cardio-toxicity in rats. * Chemical weapons injury – A study suggests a prophylactic effect of Nigella sativa on chemical war victims. * Colds & Flus – Research conducted showed that the plant and its main active ingredient Thymoquinone is effective clearing congestion associated with the upper respiratory tract. * Coughs – Various studies support the common folk perception of Nigella sativa as a potent analgesic and anti-inflammatory agent used for traditionally to help with asthma, hypertension, cough, bronchitis, eczema and gastrointestinal issues. * Depression – Results that support the traditional belief on the beneficial effects of Nigella sativa on the nervous system has shown that it can prevent LPS-induced depression. * Diarrhoea & Constipation – Research shows that traditional uses of Nigella sativa seeds for diarrhoea and asthma stands correct. 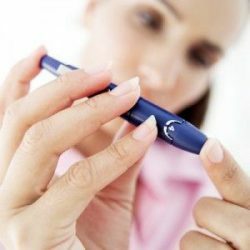 * Diabetes (Type I & II) – Anti-diabetic effects of the plant have resulted in evidence to support its anti-hyperglycemic, anti-hyperlipidemic, and anti-oxidant effect. * Diabetic nephropathy (kidney damage caused by diabetes) – Study shows a protective role of Nigella sativa in diabetic nephropathy. 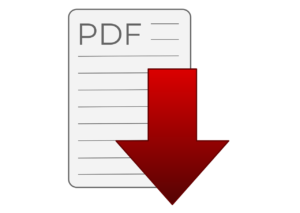 * Digestive & Gastrointestinal problems – Review focussing on regenerative effects for gastric ailments. * Epilepsy – Review shows that Nigella sativa and its components can be considered as promising agents in the treatment of nervous systems disorders. * Hair loss – Researchers at the University of Rome conducted a small pilot test and results show significant improvement in both hair density and hair thickness. * HIV – Report reflects the fact that there are possible therapeutic agents in the plant that may effectively control HIV infection. * Hormonal problems – Results from this study showed that the alcoholic extract from the plant especially in high doses could increase fertility potential, LH and testosterone concentration in male rats. * Hypertension – Results suggest that the daily use of Nigella sativa seed extract for two months may have a blood pressure-lowering effect in patients with mild hypertension. * Hypothyroidism – Positive beneficial effect of powdered Nigella sativa in improving thyroid status in patients with Hashimoto’s thyroiditis. * IBS – Review focusing on regenerative effects for gastric ailments. * Insomnia – Problems with sleep can be due to psychological causes or by an over-stimulation of the nerves. According to different studies, it seems that the plant can affect the nervous system and related diseases. From my experiences so far, Black Seed Oil has certainly helped with my 5 years of broken and interrupted sleep! * Infections (including the deadly super-bug MRSA) – Results in this study indicated that Nigella sativa has inhibitory effects on MRSA. * Intestinal parasites – Present study proved that the plant had inhibitory effect on the microscopic organism, Blastocystis hominis. * Immune system strengthener – The present investigations provide a comprehensive review of the ability of Thymoquinone (TQ), the main component in Nigella sativa, to modulate inflammation and immune-related disorders in the various important disease states. * Liver & Gallbladder problems – (see kidney and bladder above). * Memory Impairment, Learning, Mental Fatigue, Lethargy, Confusion – Many studies have been done to evaluate the effects of Nigella sativa on learning and memory and they have shown to be positive. This is due to the anti-inflammatory, anti-oxidant and anti-cholinesterase properties. * Menopause – the plant is shown to be efficacious in the treatment of metabolic syndrome in postmenopausal women. * Metabolic Syndrome – This review suggests a potential role of Nigella sativa and Thymoquinone (TQ) in the management of metabolic syndrome. * Multiple Sclerosis (MS) – Results from some studies showed that the plant and TQ have several properties including anti-convulsant, anti-depressant, anxiolytic, anti‐ischemic, analgesic, anti-psychotic and memory enhancer. Also, its protective effects against neurodegenerative diseases such as Alzheimer, Parkinson and MS have been discussed. * Muscle cramps & spasms – Data indicates that the crude extract of Nigella sativa seeds exhibits spasmolytic and bronchodilator activities. * Neurotoxicity & Neurodegeneration – Studies have shown that Nigella sativa has protective effects against neuronal damage and neurotoxicity. * Obesity & Weight Loss – This review published in the Journal of Diabetes and Metabolic Disorder examined 33 different studies relating to herbal and natural weight loss remedies. Studies with Nigella sativa and the other herbs showed significant decreases in body weight and seemed to have satisfactory anti-obesity effects. * Opiate addiction/withdrawal – Studies have shown that the plant and its extract can be useful in the treatment of drug tolerance due to its anti-oxidant properties. * Osteoarthritis & Rheumatoid Arthritis – This study gives strength to the potential relevance of Nigella sativa in clinical management of rheumatoid arthritis through modulation of T lymphocytes. * Peripheral neuropathy – Nigella sativa and Thymoquinone could be a potential treatment against peripheral neuropathy. * Sinusitis – The results of investigations of Nigella sativa seed fixed oil showed its therapeutic potential in treating sinusitis by its anti-inflammatory, anti-oxidant, anti-histaminic, immune-modulator, anti-microbial and analgesic effects. * Skin problems (eczema, bruises, burns, wounds, acne, neurodermatitis) – Nigella sativa seeds have been reported to have significant effects against ailments such as skin disease, jaundice, gastrointestinal problems, anorexia, conjunctivitis, dyspepsia, rheumatism, diabetes, hypertension, paralysis, amenorrhea, asthma, cough, bronchitis, headache, fever, influenza and eczema. * Toothaches – The use of Nigella sativa seed fixed oil can inhibit the inflammation of sinuses and respiratory airways, microbial infections and help patients suffering from clinical symptoms of sinusitis such as nasal congestion, headache, earache and toothache. * Tumours – The seeds of the plant were evaluated for its potential in the prevention of febrile neutropenia in children with brain tumors, with positive results. * Ulcerative colitis – Results from this study found that Nigella sativa prevented inflammatory status in the blood, partly protected colonic tissue against experimental ulcerative colitis. 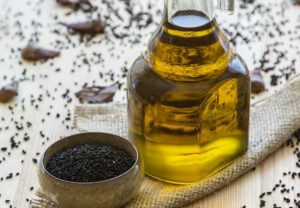 It’s quite an extensive list that has been proven by research and I hope to explore more about Black Seed Oil and its incredible health benefits in future articles. Stay tuned! "A Remedy For Every Illness Except Death" - Part 3 - Discover what is black seed oil good for. Modern scientific research focuses on very specific health issues. I had no idea about Black Seed health benefits. Usually, when I watch Info commercials about magic pills that can cure almost anything, I just watch something else because I know that they are all fake, but the Nigella Sativa seems to be the real thing. I love natural remedies, and I drink several types of tea, like green tea and chamomile tea. It seems that I need to add Black Seed oil to my repertoire. Fantastic to hear you’re a lover of natural healing, you’ve definitely come to the right place! I love green tea and chamomile too and drink them both on a regular basis. I’d love to know of your experiences with Black Seed Oil and let me know if you have any questions. I’d be so happy to help! Take care and peace be with you. First I want to congratulate you for the very informative article that you give us. I am really surprised at the amount of health benefits that black seed oil gives us. I love everything that has to do with plants and I am a consumer of fruits and vegetables. I live in the countryside surrounded by plants are incredible. I will save your site for future consultations. Happy to connect with you again. I’m a massive fan of all plants and a great believer in the power of healing through the use of plants and herbs and all that grows on God’s green earth. You are truly blessed to be surrounded by greenery! Have a lovely weekend and peace be with you. Wow! I love tea. I drink tea everyday. literally different kinds of tea. But I wasn’t really aware that Black Seed Oil has this tons of health benefits. Amazing. I’m just a little bit confused on how to use it as your website is about Blending Herbal Tea. My question is: Should I add the Black See Oil in my tea or it is for external use? 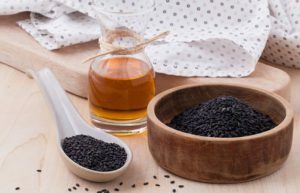 Oh, do you know where to buy Black Seed Oil best? Or is there anyway to make it at home (as in home made)? And lastly, as a vegetarian – I deeply appreciate your website promoting the power of nature in our health. Thanks for your positive vibes. I’m a great believer of all things natural and organic! In answer to your questions – the oil is usually taken internally with honey and can also be applied topically on the skin or scalp to help deal with skin issues and hair loss. The seeds itself can be added in to a tea for a soothing drink. The oil I use comes in 3 different strengths – MILD, ORIGINAL and STRONG. The STRONG is considered the strongest on the market as the volatile oil content is between 4.3% – 4.9%. Most Black Seed Oil on the market contain somewhere between 0.3% and 1.2% of volatile oil. I hope that helps and wish you well in your journey of health. Peace be with you. We read about black see oil before and someone also suggested it to my brother. I seem to have developed unknown allergies over the last two years. Lab tests for allergies only showed two things on a very low scale. I decided to try black seed oil as a detox. So I purchased organic black seed oil about a month ago. I have been using it twice a day for 3 weeks now and don’t know yet if it’s working. So far I have no noticeable side effects..
Can I ask what the percentage of volatile oil is in the oil you are using? Most Black Seed Oil on the market contain somewhere between 0.3% and 1.2% of volatile oil. The one I’m using contains between 4.3% – 4.9% volatile oil. Perhaps the one you are using is likely to be on the lower side and may take longer to experience any effects. I noticed a difference in my sleep within 2 weeks of using mine. Plus, my hay fever seemed to have subsided this year and I noticed that within 2 months of using. With all things natural and herbal, patience is definitely key! Thanks for visiting and I hope to hear from you any further experiences you have with it. Peace be with you. Thanks for the informative post on “What is black seed oil good for”! It’s so amazing to know that the black seed has been thoroughly researched and investigated using modern scientific techniques to deal with particular health conditions such as Bronchial Asthma, Allergies and Hay Fever. Thanks to you for sharing your health experience on the black seed oil. What an informative and helpful post! I’m really glad you found the post useful. Thanks for visiting and peace be with you. In my humble opinion, if people really embraced their health fully by implementing herbs in their diet, along with a more balanced and natural diet with regular exercise, we would all cease to visit the doctors as often. Although we live in one of the richest nations, we are also one of the sickest. Staggering to know, isn’t it? Wow I never thought that black seed oil can be good for many things. The list kept going and going. Even if it is effective against half of these health conditions I would consider it a very valuable product. Your article really made me curious to read more about it as I knew very little about it until today. It’s amazing how much info we can find nowadays. Thank you for bringing it to my attention. Thanks for your positive vibes and you’re most welcome. I’m really happy to have introduced this amazing herb to you. I loved reading and researching about it and sharing it with my readers! Take care and have a blessed weekend. Peace be with you. Not only have you a really beautiful site design, but the knowledge you put here about blending herbal tea is of great interest to me. I actually discovered cardamom tea and how to make it while watching a video about Dubai and the lives of fishermen there. Every time they had a break the fishermen would make a pot of cardamom tea. When I bought the pods, I made tea with them. Now I include them in pumpkin soup and also bean soup! The aroma is very beautiful. However, I did not know cardamom tea is also for weightloss. I will return to your site for future reference because I can learn a lot from you. Many thanks for your kind comments. If you are interested in herbs with weight loss, I have an article I wrote not so long ago regarding this here. I hope you enjoy the read and peace be with you. This looks like its the ultimate product out there. I have diabetes, high blood pressure, asthma and a couple other things. I am so tired of taking so many medications. Im not saying I will completely go off the medications but it would be so cool to have something a lot healthier for me to maybe lessen my meds. It’s incredible that we live in one of the wealthiest nations in the world, yet we are considered one of the sickest nations. An accumulation of diets rich in processed sugars, flours and fats along with farming methods that is full of pesticides, herbicides and GMO’s. Mix in sedentary and stressful lifestyles, pollutants in the environment, a staggering array of vaccinations. Add all of these factors together over a long period of time and what do you get? A enormous amount of us will have 1, 2, 3 or more health conditions like yourself, that will affect us through our lives. And the number of these conditions are sky-rocketing. Cue more conventional medicines to help ease these symptoms but do no actually address the underlying issue, causing unnecessary side effects from taking them. I hope you do get to give Black Seed Oil a try as science speaks volumes in this day and age and Black Seed is the most extensively studied plant in the plant kingdom, with positive results. All the very best in your quest to find a healthier alternative to maintaining your health. This is incredible! I had no idea that black seed oil was this powerful. A homeopath gave me some black seed capsules before For diabetes prevention because I was pre diabetic and overweight. Do you think the oil will be more beneficial than the capsules? I have heard that liquids can be absorbed faster and better than capsule is this true in this case? Did you find the capsules working for you? In response to your question, I have emailed the company I use and am awaiting a response from them. I spoke with the company I use and they advised that the oil and the capsules are pretty much the same. The only main difference is the price as capsules are more expensive due to the encapsulation process needed. I have recently adapted my morning routine to include green tea instead of coffee first thing in the morning to try and improve my bodies metabolism among other things. There are so many variations of teas with just as many benefits. What is the recommended maximum dosage of tea intake to ensure that one does not overdo it thinking more is better? Thanks for your assistance in answering this question. As with all things, moderation is key. Natural is NOT synonymous with harmless or safe. The recommended dose for this particular Black Seed Oil I use is 3 teaspoons per day. As it comes with 3 different types of strengths (MILD, ORIGINAL, STRONG), it’s best for beginners and those who are sensitive to start on the MILD strength. Start with a few drops to 1/2 teaspoon 1 x per day (for 2-7 days). Then increase 1/2 teaspoon 2 x per day (for 2-7 days). Slowly build up to 3 teaspoons per day. The makers of the oil advise that if you do start with the STRONG oil, then you do need to treat the product with respect and caution even if you consider yourself to be healthy. This is because a common cause of adverse reactions with any herbal supplements is taking a much higher dose too quickly. The body can only clear out and remove toxins and congestion at a given rate and exceeding this rate may cause you to feel unwell. I hope that answers your question. Peace be with you. Wow, there are so many healing benefits from Black Seed oil. I take a lot of food and herb supplements and I have never heard about this one in Australia. I am very curious about trying it. Do you recommend the tea or the oil for skin allergies? Thank you for the review. The oil can used topically for skin conditions such as eczema and psoriasis. Eczema is an inflammatory condition and Black Seed Oil contains anti-inflammatory actions that can benefit the skin and soothe inflammation. Psoriasis occurs because of an imbalanced immune system. Black Seed Oil helps to regulate the body’s immune system and can help you prevent the cell proliferation and overgrowth that creates the pink patches most commonly identified with psoriasis. It’s also useful for minor burns due to the anti-inflammatory actions. 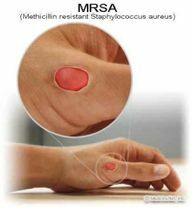 Plus, its microbial properties can deal with the bacterial infections that sometimes occur in the wake of a burn. I hope that helps and I hope you return with your experiences of this ‘blessed seed’. There are so many benefits to nature. This is a very interesting post and I love how far in depth you went with the information. Thank you for taking the time to compile information on this topic. You’re most welcome Jessica. Hope it has helped you in some way. I have heard it said that black seed oil is the cure for all! It is amazing the numerous health benefits it holds. Have you got an article on how to consume it? It is sometimes hard to know if one is buying a genuine bottle of black seed oil, do you have sources we can buy from? Thanks! I will be reading your health experiences with it next. I’ve written in Part 4 of the article on what to look for when buying. Plus, it talks about any side effects and also guidelines on how to take it. I hope this helps. Read it here. That was a very interesting post. I have been suffering with allergies and asthma for a few years now. I didn’t have allergies for most of my life, and then one day I did. I have been recently considering what I can do with my diet to make a difference. How does one use this black seed oil? Black Seed Oil has certainly helped with my hay fever this year and also with my insomnia. You can read about my experiences so far here.
. Hopefully it can help with your allergies too. I’ve written about how to take it in part 4 here... It’s best to read the guidelines highlighted as it’s very important not to start too much at first, especially if you have allergies. It also tells you if there are any side effects and what to look for when buying. Thanks for stopping by and I wish you well in finding a remedy for you ailments. Peace be with you. Wow! Black seed oil is great for so many things! Very nice of you also to link some of the terms we may not know to get more information. Very educational. it is a very extensive list! As one of my readers’ said “a complete pharmacy in a bottle”. Thanks for reading and commenting. really happy you found the article helpful. I found it helped with my hay fever since I started taking it this year. Hopefully it can help with your husband’s allergies too. I’d love for you to return and let me know of your experiences. Take care and peace be with you. Thanks Sarah – glad you enjoyed the read!